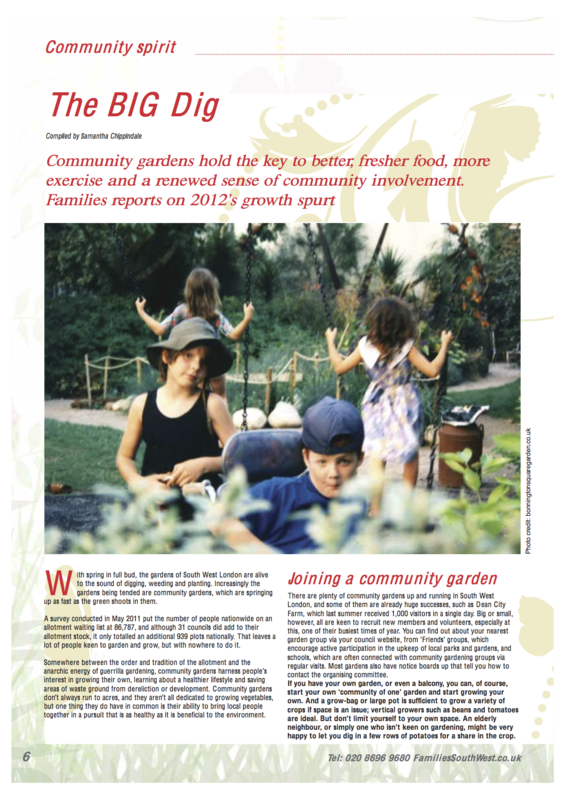 Gardens don’t have to be productive to be community gardens. The Pleasure Garden and Paradise Project in Bonnington Square, Vauxhall, was established in 1994 when a plot of land bombed during World War II was about to be built on. The residents quickly mobilised, got council approval and took over the plot with the aim of creating a green space that could be enjoyed by everyone, especially those living locally in flats without gardens. The beautifully planted sub-tropical haven was designed by the residents using found objects and is maintained by them as a tranquil refuge open to all.